A story can capture a person’s attention in ways that an ad never could. That’s because storytelling invokes an emotional response that makes consumers more likely to listen, act, and share on social media. As a result, more and more brands are using the art of storytelling to get ahead in business. 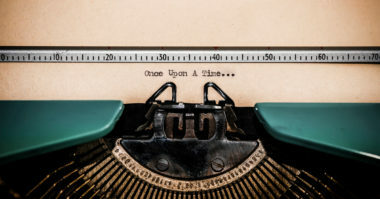 PRDaily.com shared eight savvy strategies to help brands craft compelling stories that will make people follow and share. Before a brand can tell a story, it must know the public perception of the company in order to properly evolve. Everything changes over time, including a company’s personality and voice. The only way for a brand to determine how to move forward is by knowing where it began. A brand needs to make sure that the marketing content shared reflects its core values, viewpoints, and voice. This will allow the brand to convey its many attributes in a compelling and meaningful way. Be aware of what the brand wants to accomplish by telling a story, whether it’s to strengthen the brand image to current customers or attract new prospects. After all, the most effective stories convert followers into leads and long-term customers. Rather than market a message to a mass audience, it’s smarter to share a story with a smaller number of the right people, at the right time. Do research to identify the audience that the brand will relate to the best and then strive to connect with those people. The goal is for the brand’s story to resonate on such an emotional level that the audience is inspired to share it. To achieve this, a brand should start thinking like its target customer and consider what they’d want to hear and what would make them share it with others. A simple way for a brand to increase the sharing of its story is to focus more on the customer than the brand. Show prospects how the brand has enhanced the lives of its followers and customers and include user-generated content to have current customers help to attract prospects. Storytelling via video on social media platforms can lead to huge engagement. One effective way to humanize the brand is by sharing behind-the-scenes video footage of the brand. Consumers are savvy and can tell when a brand isn’t being authentic and open. That’s why it’s essential for brands to remain real and honest if they want their stories to be heard and shared. Follow the latest trends in digital marketing. Contact MDG Advertising.